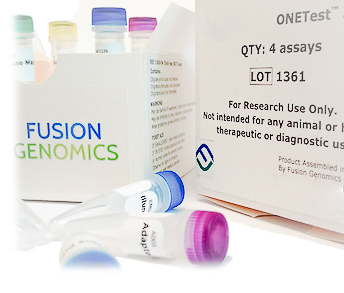 One Solution Fits All | Fusion Genomics Corp.
UNIPrep™ is the first component of our ONETest™ molecular diagnostics assay kit. It contains all the reagents (including QUANTUMProbes™) to produce an enriched sequenceable library from a variety of sample sources (blood, nasal wash, NP swab, etc.) within 6 hours.